Tommy Hilfiger transformed their runway into a football field for their recent Fall 2015 New York Fashion Week presentation. The collection was actually inspired by the Super Bowl, which is pretty cool. It was only felicitous to have an actual pro football player in attendance. 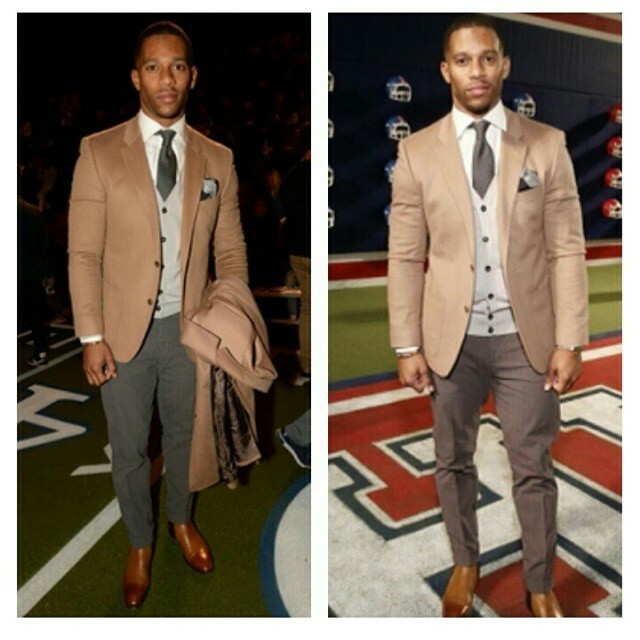 Who better to invite then New York Giants star Victor Cruz, he’s got serious game, and loves fashion! 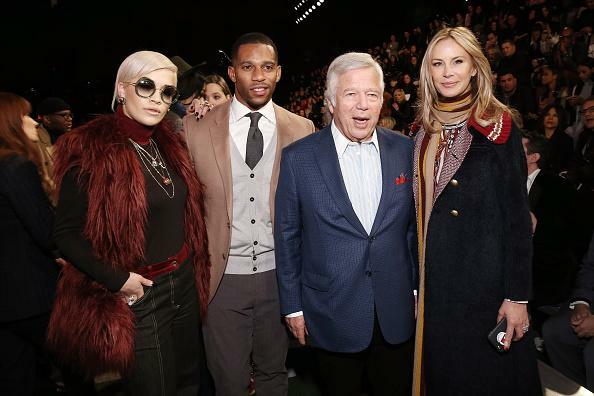 The star receiver attended the show decked in pieces Tommy Hilfiger. I absolutely loved his look, the beige and grey hues complemented each other perfectly. Blending suit pieces makes your attire more interesting, Victor’s look was an excellent example of that. Are you a fan of the look?